What better way to experience the French Riviera cuisine than to have a quick bite or romantic dinner overlooking the Mediterranean! The new trend, from Monte Carlo to Antibes? Restaurants have set their tables on the sand and the chefs cook by the sea. On the beaches “more branché” of the French Riviera light and tasty lunches are served on the beaches even in the evenings and candlelight. Salads of raw zucchini with white peach, basil and shrimp; carpaccios of sea bass with fennel and orange; burgers with truffle. Gourmand menus with seasonal products. And almost low cost, given that the average price for a dish and dessert is around 35-40 euro. It is the new trend of the French Riviera, where the beach restaurants are living their golden moment. Here are the addresses for your next French vacation. MONTE CARLO – Lucio Marandino is the chef of “ La Rose des Vents” , the restaurant on the beach. With its nice gazebo set on a crescent of fine sand the restaurant is considered among the most elegant of the Principality serving VIPs as Monica Bellucci , Hugh Grant,( now a regular conquered by the risotto with crab, fresh onions and summer truffle 21 €). The philosophy of Marandino cuisine: Mediterranean cuisine with a touch of creativity: octopus salads with green beans and potatoes, calamari with rosemary ,pinoli, olives and candied tomatoes ..
NICE – It’s called, HI Beach, the coolest of Nice sushi bar, with a class of morning yoga and a massage gazebo. Every day in front of customers Kazuomi Ota prepares dishes with shrimp sashimi, maki and sushi. Prices? 10 to 34 Euros, depending on the amount. Try the sea bass baked with eggplant and tomato tartare and green sushi. For the evening, do not miss La Cave de l’Origine, bistro-shop where you can taste the best meats, cheeses and wines of various French regions. from Antibes. Chef Olivier Condat supervises the restaurant, Le César and prepares refined dishes. Especially fish: classic sea bass in salt crust, the San Pietro fish with legumes and purple artichokes of Provence, or skewer of shrimp lemongrass. In the morning you can take a ride to the covered market of Les Halles, in search of the best regional products: from olives to homemade pate’. CANNES – The largest number of renowned chefs is found on the white beaches of La Croisette. Antoine Regnault is to be found at the Vega Luna, a family beach restaurant , frequented by the Jet Set. A must to test is the mizzunà: black tiger shrimp salad marinated in sesame oil and laid on julienne carrots, bean sprouts, shrimp, peanuts and Asian sauce (21 €), along with tuna tournedos Rossini with foie gras and apple sauce with truffle oil; and tartares with Italian pesto, candied tomatoes and shaved Parmesan. At the 3. 14 you are welcomed by white umbrellas, turquoise sofas and chairs and a soft background music. In the menu sardine fillets stuffed with olive tapenade, with turmeric and coriander and a delicate mousse of crab and celery with green apple (16 €). La Rose des Vents: Creative Mediterranean cuisine. Address: Plage du Larvotto, Monte Carlo, tel. 00377.97.70.46.96. Hours: 12 am-4.30pm , 7:30pm to 10:30pm . Prices: € 18 beach, restaurant 35-40 €. C / All credit. HI Beach: Japanese-Mediterranean cuisine on the beach coolest Nice. Address: 47, promenade des Anglais, Nice, tel. 0033.4.97.14.00.83, http://www.hi-beach.net. Hours: 12.30 am-3.00 pm. Prices: 18 € beach, cabanas family € 29 (1/2 day), restaurant 21 €. C / All credit. Keller – The César Among the most elegant in the beach. French and Provencal cuisine. Address: chemin de la Garoupe, Antibes, tel. 0033.4.93.61.33.74, http://www.plagekeller.com. Hours: 12:30am to 2:30 pm , 8.00-10.00 pm . Prices: 19 € beach, restaurant from 25 €. C / All credit. 3.14 Eastern Mediterranean cuisine with variations. Address: Boulevard de la Croisette, Cannes, tel. 0033.4.93.94.25.43. Hours: 12am-4 pm. Prices: beach: 15 €, 26 € restaurant. C / All credit. La Plage du Carlton The most chic in Cannes, Mediterranean cuisine and grand buffet. Address: Boulevard de la Croisette, Cannes, tel. 0033.4.93.06.44.94. Hours: 12am -5.00 pm. Prices: beach 30 €, 48 € buffet. C / All credit. La Cave de l’Origine Rustic with tastings of doc wine from various French regions. Address: 3, rue Dal Pozzo, Nice, tel. 0033.4.83.50.09.60. Hours: 12am -2.30pm ; Thurs-Sat. 12am-2.30pm, 7 -9pm (closed on Sundays.). Prices: 21 €. C / Credit: no. Sparkling Restaurant Dinner on the terrace. Brunch Saturday and Sunday.Address: 6/8, rue des Frères Pradignac, Cannes, tel. 0033.4.93.39.71.21. Hours: 12am -3 pm, 7pm-1am (never closed). Prices: from 30 €, 20-25 € brunch. C / All credit. 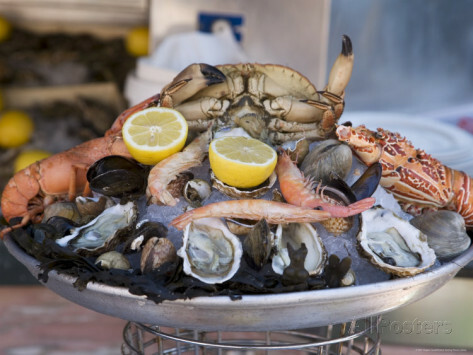 Go and visit Paris & the French Riviera and sample some of these wonderful restaurants ….. Call us to book your French Getaway today 800-621-2259! Previous Post Strong dollar makes travel abroad cheaper for Americans!